Home of the Pro Certified Lifetime Power Train Protection Your buying risks are reduced thanks to a CARFAX BuyBack Guarantee. Treat yourself to an SUV that surrounds you with all the comfort and conveniences of a luxury sedan. Simply put, this all wheel drive vehicle is engineered with higher standards. Enjoy improved steering, superior acceleration, and increased stability and safety while driving this AWD SaturnVUE XR. 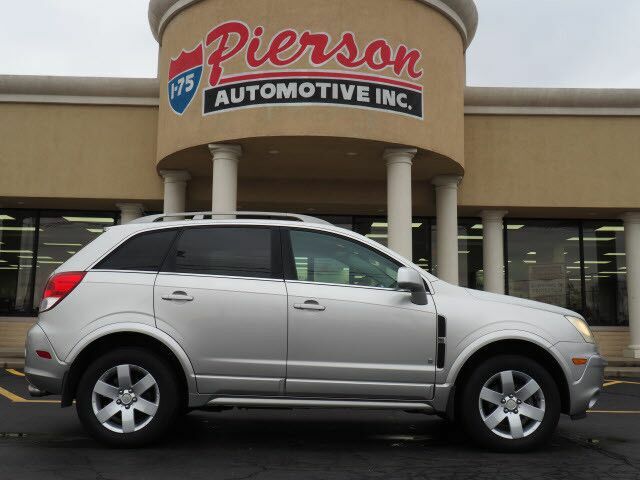 More information about the 2008 Saturn VUE: The base 2008 Saturn Vue XE with, in front-wheel drive, represents a particularly strong value, with its wide range of standard features and economical engine, while the Vue Green Line will appeal to those who want to make an eco-friendly statement. It carries an EPA fuel economy rating of 25 city, 32 highway--the best of any sport-utility vehicle for 2008--and it's also quite affordably priced, starting at less than $25,000. In general, the Vue has a nice, controlled ride and good carlike handling, matched with an especially roomy interior and good towing ability for its size. This model sets itself apart with controlled ride, fuel economy (XE and Green Line), standard safety equipment, New look, extensive cargo space, and towing stability feature.